The delightful Amish Shaker 2-Door Console Table adds the beauty of natural wood to your display as it brings in some handy surface display space coupled with storage. Raised panel doors rich with the wood of your choice open to one adjustable shelf. 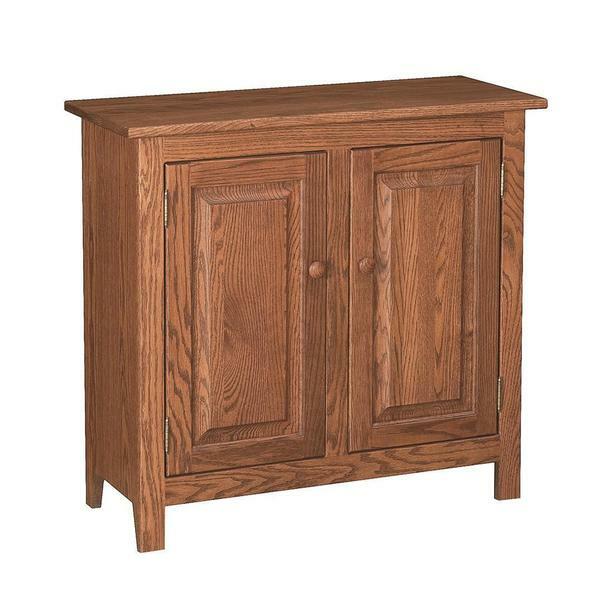 For hallway, foyer, living room or anywhere you need a small stylish table, this shaker furniture is just right. Click on your selections on the options page or feel free to contact us for personal assistance. Your solid furniture is made your way and we can't wait for it to go home to you. Thanks for shopping with us.